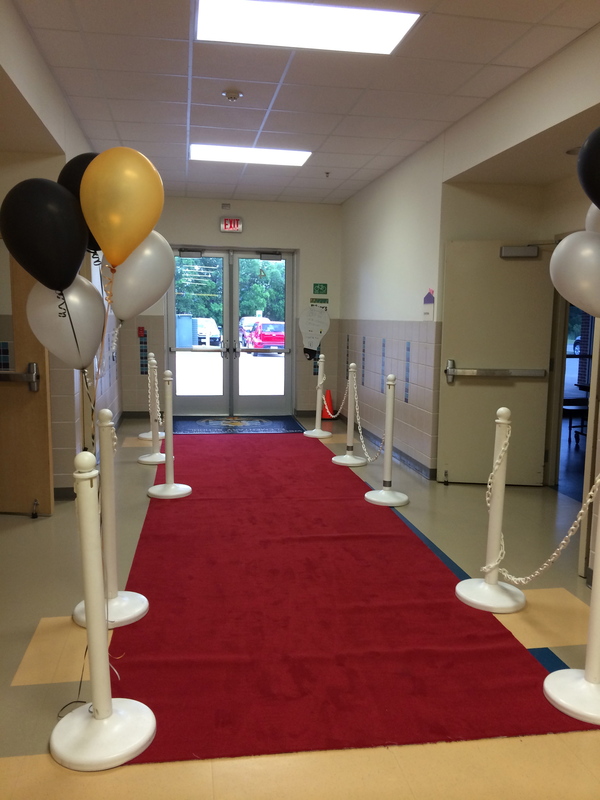 Cue the 20th Century roaring lion and the brass overture to start the reel…Our amazing PTO has showered us with all manner of good wishes, treats, and surprises each day this week! From prize drawings and announcements starting our day to favorite movie stars, the paparazzi, concession stand workers (popcorn or Milk Duds anyone? ), and incognito gear, our parents have spoiled us dearly. We truly walk-the-red-carpet each morning to the flash of the bulbs! Yes, we feel like movie and rock stars with all this royal treatment! The greatest blessing of all is just knowing how much our staff is appreciated for the important work we do each day with children. Our work is truly a calling and we each choose to serve in our many unique capacities. 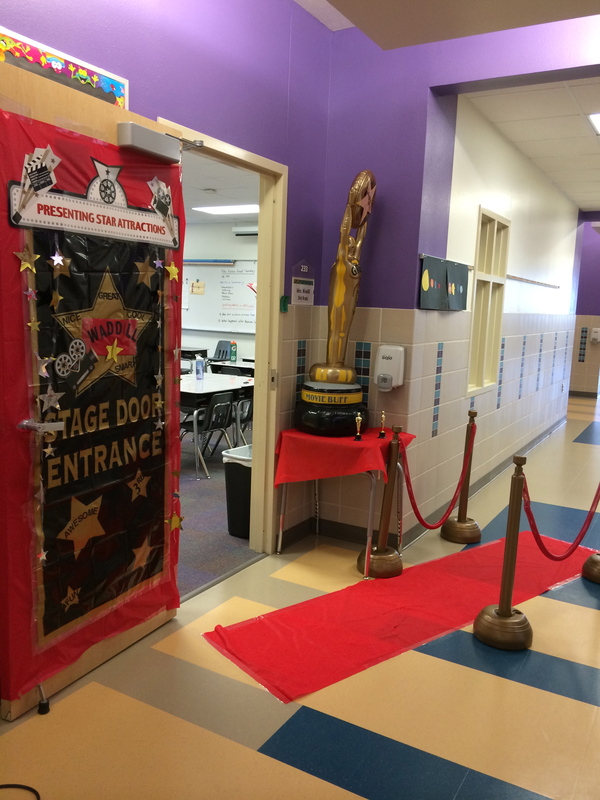 Thanks for sharing your most valuable treasures and “star attractions” with us each school day! Rock on, Team LME! 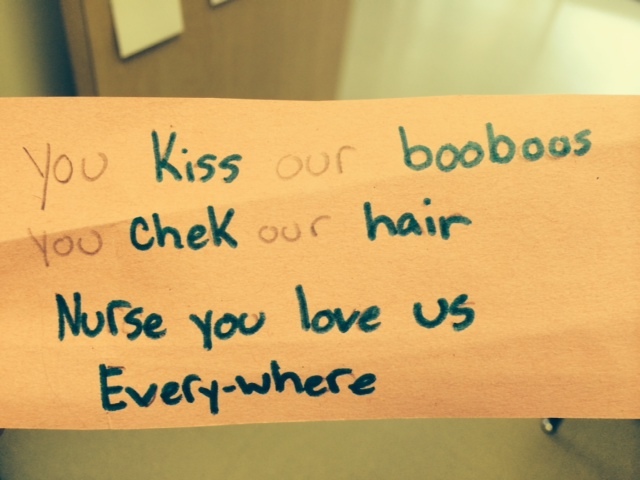 This entry was posted in Personal Reflections and tagged Teacher Appreciation Week. Bookmark the permalink.